The possibilities of the Internet of Things (IoT) are well documented. From getting better feedback from your customers to improve the product, to proactively identifying issues before they become problems for the customer—the possibilities of the Internet of Things (IoT) are well documented. Yet what no one seems to mention about the IoT era is how to get there. How exactly can your organization move from where it is today to being the smartest, most connected manufacturer on the block? It is clear that the physical and digital worlds are colliding, but what can you/should you be doing about it today? Making changes to how your organization operates can be stressful. What if the returns are not as great as promised? What if the whole thing is bungled and you end up with products that are even less smart and more disconnected than before? The flip side to those questions is: What happens if you refuse to change? You risk being left behind. Your competitors are considering IoT-enabled products and systems, too. The first to successfully implement them will gain a strong foothold in the market. You don’t need to completely upend your entire organization overnight to become smart and connected. There is a clear first step: Understand the data that is already available to you. Build out a digital product definition that contains all of the most relevant, up-to-date product information. Next—and this is where it gets really interesting—combine the “definition” of the product with the experience of the product. You then get a model-based digital twin that gives you a deep digital understanding of your physical product. But let’s walk before we run. 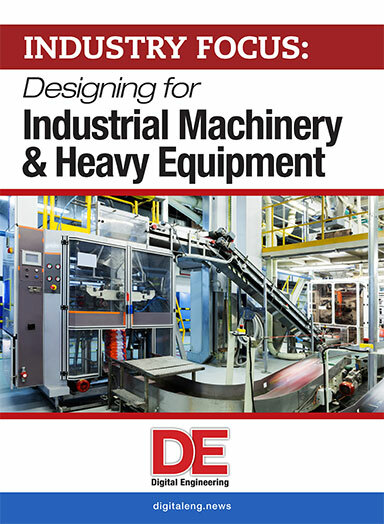 Though implementing a digital production definition seems fairly straightforward, the vast majority of manufacturers struggle to consolidate all of their product information. Whether through mergers and acquisitions, reorganizations or siloed departments, these organizations have their data located in multiple, incompatible systems that can be difficult to upgrade. In place of a centralized product definition, workarounds have sprung up. For example, designers might note information for downstream stakeholders on a product’s CAD drawings. Although this may be one of the most popular ways to communicate product information, it also is one of the least effective. Every time an update is made to the product, a new drawing needs to be made and distributed to ensure teams are using the most current information. Because this process isn’t instantaneous, downstream teams continue to use out-of-date information until they get their hands on the new information—potentially resulting in errors, decreased time-to-market and higher costs to fix mistakes. So how do you consolidate information into a digital product definition for this new world of IoT? It comes back to bill of material (BOM) management and product lifecycle management (PLM). You need to get your digital house in order. In a BOM, parts and product information must be streamlined into a single, easy-to-read list format. A few key components should also be included in your PLM solution; they are as follows. Change Management. Stakeholders must be able to make changes to the BOM that are immediately coordinated throughout the product lifecycle. This ensures that all stakeholders are accessing up-to-date information. Parts Classification. Multiple departments may find themselves creating the same part that they both need. Your PLM solution should be able to classify parts in related categories—such as function or physical characteristics—so that they can quickly identify parts and reduce part duplication. Component and Supplier Management. Related to part duplication is the issue of aligning the supply chain with the product development process. By providing visibility into supply chain preferences and characteristics, you can drive down inventory by optimizing parts and supplier spending. Value Chain Data Sharing and Collaboration. Rather than give your supply chain access to your systems, you should be able to consolidate a secure package of product data to share with external stakeholders. 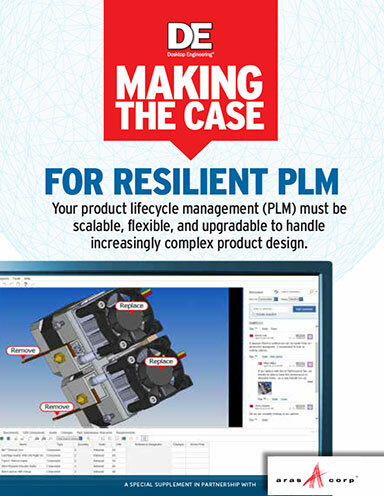 Having a comprehensive PLM system will provide a strong foundation for all of the other goals you aim to achieve on your transformational journey: whether that means including custom data streams directly from your product to improve designs, using a digital twin to analyze assets in the field to improve the average time to repair or changing your entire business model to offer products as a service. Let’s get started!